Nashik, March 24: In a shocking case reported from Maharashtra, a class six student was allegedly molested by a school teacher at Bhonsala Military School-Girls' in Nashik's Parijat Nagar. According to the police, the same teacher was earlier also involved in a similar incident. A probe has revealed that the same teacher had molested two other girls in the past. According to reports, the incident occurred earlier this week the accused teacher, identified as Machhindra Karpe, touched the girl at Military school campus inappropriately during training. The accused, who retired as Subhedar from the Indian Army, was appointed by the Bhonsala Military School in February 2019. 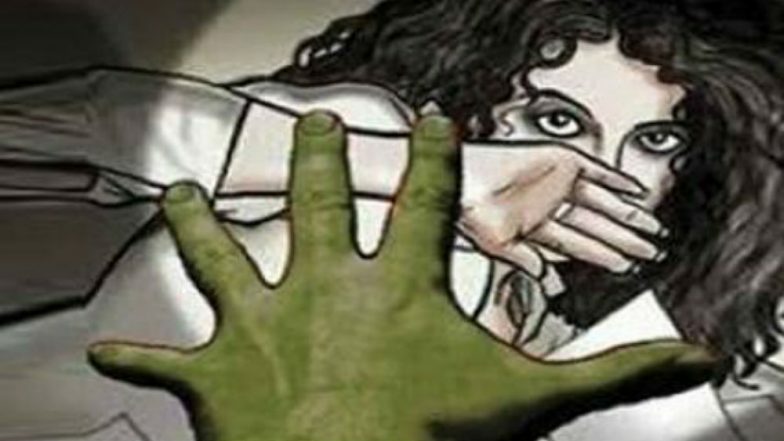 Bihar Shocker: Schoolgirl Groped, Molested by 7 Men in Saharsa; 1 Arrested After WhatsApp Video Goes Viral. Police officials, speaking to news agency ANI, said, "a sixth standard student at Bhonsala Military School-Girls' was molested by a school teacher in the school premises. A probe has revealed that the same teacher had molested two other girl students in the past." Lucknow: Girl Jumps from Auto to Resist Molestation Attempt by Driver . The educational institution, being run by the CHMES (Central Hindu Military Education Society), dismissed Karpe and handed him over to police after some girls reported the incident. The case has been registered against the accused teacher and he has been arrested under the relevant sections of the Indian Penal Code (IPC) and provisions of the Protection of Children from Sexual Offences (POCSO) Act.